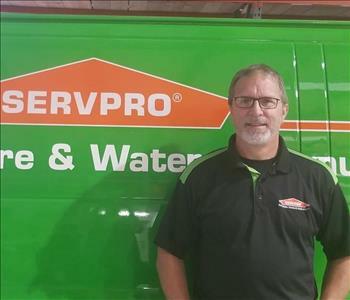 Bruce Kinzer, Operations Manager, brings to SERVPRO of Lynchburg/Bedford & Campbell Counties 17 years’ prior experience in the cleaning & restoration industry. It is his goal to empower employees with training & resources necessary to provide the best possible customer service. He finds satisfaction in helping people. Bruce is a graduate of The Kings College, with degrees in Sociology & Business Administration. He has recently returned to the restoration industry after spending 6 years in missions, serving in Kenya where he spent his childhood. Married with 5 children, Bruce enjoys spending time with his family, as well as working on his hobby of restoring classic Defender Land Rovers. Mike Dodson is a Production Manager at SERVPRO of Lynchburg/Bedford & Campbell Counties. Mike joined our team in December, 2014 after serving in the restoration since 2003. Mike is IICRC certified in both Applied Structural Drying & Water Damage Restoration. He has completed the crew training course & has certifications for the following: Lead Renovator, Arial and Scissor Lift, Water, Fire, Carpet & Upholstery Cleaning. The extensive training & knowledge Mike has gained over the past several years is shared with his team & customers. Matt Misjuns is our Water Mitigation Project Manager. He has worked at SERVPRO of Lynchburg/Bedford & Campbell Counties since April of 2009. 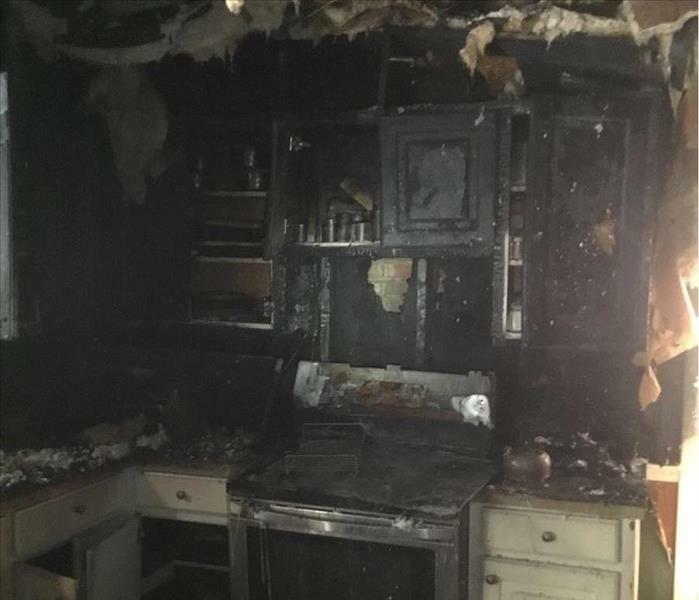 He has the following certifications from the Institute of Inspection Cleaning and Restoration Certification (IICRC): Water Damage Restoration, Odor Control, Fire & Smoke Restoration, and Applied Structural Drying. He is also certified in Lead Renovation. Prior to working at SERVPRO Matt has had 7 years experience in management in the construction industry. Matt is a graduate from Liberty University with a degree in Business Management. Matt says that the most rewarding part of his job here at SERVPRO is being able to help others in their time of need when they are experiencing a disaster in their home or business. When he is not at work he enjoys spending time with his family and working on his Jeep. Chris Wyndham is our Repairs/Restoration Project Manager here at SERVPRO of Lynchburg. Prior to Chris’ service in this role at SERVPRO, he worked for a local insurance company as a catastrophe property field adjuster. Chris brings to SERVPRO many years of insurance experience and management leadership in several key positions. During the repair process, Chris loves sharing our philosophy with customers, “Like it never even happened”. Chris and his family enjoy living in Central Virginia with the beauty of our mountains and region! Jael Batista is an Administrative Assistant for SERVPRO of Lynchburg/Bedford & Campbell Counties. She strives to provide excellent customer service, and respond quickly to customer calls and concerns. Assisting with multiple office duties, Jael helps to ensure everything operates smoothly and effectively. Jael graduated from Calvary Chapel University in August 2017. She holds a Bachelor’s in Biblical Counseling, and two music degrees. Her passions include teaching piano and recording music. In her spare time, Jael enjoys working with children, going to the beach and traveling. Jael considers it a privilege to be a part of the SERVPRO family. She enjoys working with her office teammates, and the customers she serves! Lisa Burdsall, Project Coordinator since 2013 at SERVPRO of Lynchburg / Bedford & Campbell Counties. Prior to coming to SERVPRO she has had 8 years in the restoration and construction industry after serving in the United States Air Force for 12 years. Lisa is a graduate of Wayland Baptist University with a degree in Business Administration and Human Services. She says the best part of her job is helping people going through a trying time in life and be able to comfort them and put their home and lives back to normal. She also loves working with people who put their heart into their job! She is married to her wonderful husband Mark with whom they have 7 children and 3 grandchildren. Pam Ferrell is an Administrative Assistant in the Human Resource and Accounting areas at SERVPRO of Lynchburg / Bedford & Campbell Counties. Her primary responsibilities involve payroll and compiling management reports, as well as handling subcontractor, insurance requirements, and compliance with national accounts. Her careful, systematic approach, comfort in working independently, and respect for confidentiality are valuable qualities in the various roles she plays. Here at SERVPRO, whether you’re a client, employee, vendor, or visitor, everyone is valued and their highest good is the goal. That is a pervasive thread through all that’s done here and I find it very gratifying to work in a place with that mindset. A few words from Pam, "I love my job at SERVPRO of Lynchburg because the people here have great integrity, are very capable and professional, and they just care about people. That’s the core of who we are every day." Regina Morris, a native of Ahoskie, North Carolina, has been with SERVPRO of Lynchburg/Bedford & Campbell Counties since January, 2009. Along with her many other administrative duties, she manages our Accounts Receivables. Specializing in customer and insurance communications, Regina verifies job documentation details, and ensures requirements have been satisfactorily completed, before closing out the file. Regina is a leader in team development, encouraging her co-workers every day. Comments from Regina: "I believe working with SERVPRO is an example of a family. Our close-knit associates are friendly, honest, hard-working folks who care about each other and our customers. We strive to perform the very best Customer Satisfaction possible, to help ease the burden of any disaster our customer may be experiencing. We are always here to help...just like a family!" 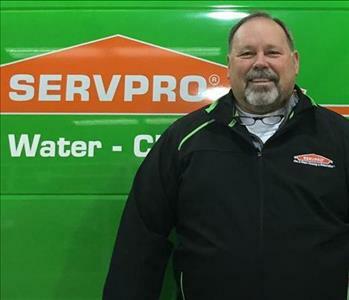 Bill Farmer is a Marketing Representative at SERVPRO of Lynchburg / Bedford & Campbell Counties. Bill joined our team in 2013 after 25 years in the insurance industry. He is married with 3 daughters. The thing he loves most about his job are the wonderful people he works with and gets to meet everyday. 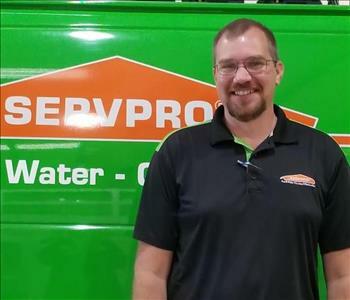 Dean Nuckles joined SERVPRO November 2018. Dean comes to us with over thirty years of insurance industry knowledge. Dean is a former agency franchise owner as well as Continuing Education instructor. His vast knowledge in field underwriting and risk management is a welcome addition to our team. We are excited to utilize his skill set in the areas of recruiting, training, marketing and building our ERP commercial clientele. Dean, a native of Lynchburg, is married to his high school sweetheart, Brenda, for thirty-eight years. 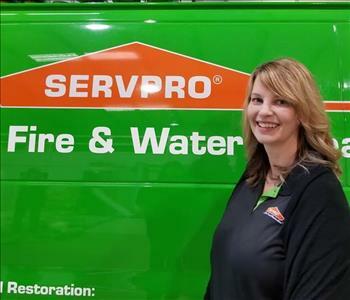 Christy Jo Bradshaw is a Crew Chief at SERVPRO of Lynchburg/Bedford & Campbell Counties. Christy joined our team July, 2016. Christy Jo is a IICRC certified technician for Fire and Smoke Restoration, IICRC Water Damage Restoration, & IICRC Odor. Christy also has additional certifications for the following completed training: Water Certification, Fire Certification, Carpet & Upholstery Cleaning Certification. Christy Jo is a valued team player. Brian is a Production Technician at SERVPRO of Lynchburg/Bedford & Campbell Counties. He joined our team November 2017. Brian has completed the following training certifications: Crew Training Course, Water Certification, Fire Certification, Carpet & Upholstery Cleaning Certification. Brian is a great addition to our SERVPRO family. Heather Flowers joined SERVPRO of Lynchburg/Bedford & Campbell Counties May 2018. Shaina James joined SERVPRO of Lynchburg/Bedford & Campbell Counties in April 2018. Marco Leiva is a Construction Repair Technician for SERVPRO of Lynchburg/Bedford & Campbell Counties. He joined our team on April 26, 2017. We love having Marco as a part of our team. Charlie Millner is a Production Technician at SERVPRO of Lynchburg/Bedford and Campbell Counties. He has the following certifications: IICRC Fire and Smoke Restoration, and IICRC Water Damage Restoration. Charlie joined the SERVPRO family in February of 2017. He shares his positive attitude with everyone. 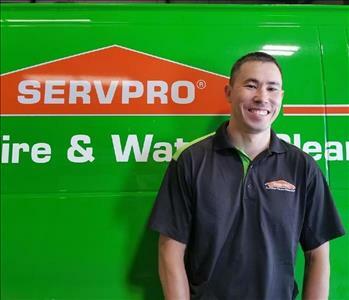 Kiikzhan Moldakhanov is a Crew Chief at SERVPRO of Lynchburg/Bedford & Campbell Counties. He first joined our SERVPRO family February 2011. Kiikzhan has the following certifications: IICRC Water Damage Restoration, IICRC Applied Structural Drying, Crew Training Course, Water Certification, and Carpet & Upholstery Certification. As an encouraging & knowledgeable leader, Kiikzhan is a valuable team player. Nichole Phillips joined SERVPRO of Lynchburg/Bedford & Campbell Counties April 2018. Juan Romero is a Construction Repair Crew Chief at SERVPRO of Lynchburg/Bedford & Campbell Counties. He has been with us since July 2009. In addition to completing the Crew Training Course, Juan brings to SERVPRO his love & talent for painting. He is a valued team player. Chris Sugden has worked with SERVPRO of Lynchburg/Bedford & Campbell Counties as a subcontractor for many years. In February 2018 he decided to join our team. With many years of construction and water mitigation experience, Chris shares his knowledge with other team members and our customers. Sammie Tweedy is a Construction Repair Technician at SERVPRO of Lynchburg/Bedford & Campbell Counties. He has shared his talents with SERVPRO customers since December 2012. Johnnie Wallace is a Construction Repair Technician at SERVPRO of Lynchburg/Bedford & Campbell Counties. Since 2013, Johnny has been learning extensively in the field of construction, and he eagerly applies his knowledge to every job he works on. 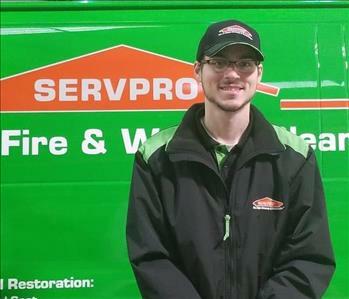 Joshua is a Production Technician at SERVPRO of Lynchburg/Bedford & Campbell Counties. Joshua joined our team January 2018, and is quickly moving through our training process, showing he is a true team player. Susan represented, and defended us throughout this community, a task that she did unlike any other. She touched many lives in our SERVPRO office, as well as throughout this community. 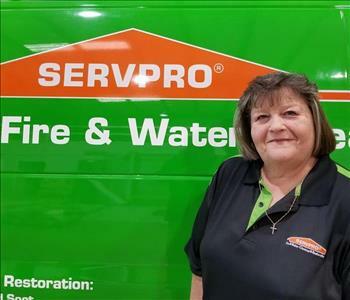 She has been honored by our corporate office on several occasions for excellence, and was highly respected with other SERVPRO franchises that had the privilege of working with her. It’s our turn to represent her and live the reputation that she helped us build, a reputation of being the very best servants for our customers. Susan has left a hole in our team that will never be filled or forgotten. But I do know she would want us to live our lives to the fullest, like she did. Susan would want us to continue on about the task of serving our community and to be the very best in doing so.